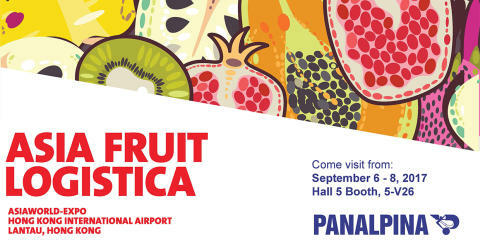 Come and join us for Asia Fruit Logistica 2017 in Hong Kong, where every facet of the international fresh fruit and vegetable supply chain will be in attendance. Make sure to stop by our stand at Hall 5, Booth 5-V26. We look forward to seeing you there.